01. Grameenphone Ltd. (GP): 5 core 15 lac 49 thousands. 02. Banglalink Digital Communications Limited (Banglalink): 3 core 11 lacs 45 thousands. 03. Robi Axiata Limited (Robi): 2 core 62 lac 83 thousands. 04. Airtel Bangladesh Limited (Airtel): 77 lac 16 thousands. 05. Teletalk Bangladesh Ltd. (Teletalk): 38 lac 90 thousands. 06. 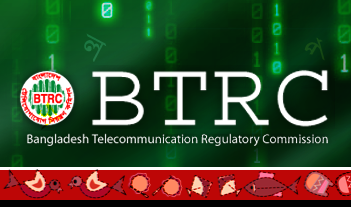 Pacific Bangladesh Telecom Limited (Citycell): 12 lac 76 thousands.